A tribute to my recent acceptance to medical school, this month’s Famous Names in Public Health series post centers around women’s achievements in medicine. This notable figure was the first woman to earn a medical doctorate degree in the United States. Her name is Dr. Elizabeth Blackwell. Dr. Blackwell consulted her family’s physician friends for advice and studied medicine under the guidance of 2 of these physicians for 1 year before applying to multiple medical schools on the east coast. Many schools at that time would not even entertain her application because their programs were not available to women. One school however did consider the idea- Geneva Medical College. Apparently, the faculty allowed the students (who were, of course, all male) vote on her admission because they thought it would never go through. However, the student body jokingly voted to grant her admission to the school. (It’s pretty shocking how a practical joke ultimately led to a change in history!) She graduated from the program in 1849 with her MD degree. She was the first in her class, gaining respect from faculty and classmates alike. From there, Dr.Blackwell practiced medicine in London and Paris until 1851. When she returned to New York to practice medicine, she struggled with discrimination and had difficulty finding work. Neither hospitals were willing to hire her, nor patients willing to see her. Even a women’s department was unwilling to hire her as a practicing female physician. As a result, Dr. Blackwell opened her own small clinic in the city to treat women. 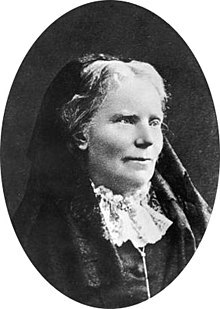 In 1857, Dr. Elizabeth Blackwell, her sister; Dr. Emily Blackwell, Dr. Marie Zakrzewska, opened the New York Infirmary for Women and Children. In 1859 she became the first woman to have her name entered in the British General Medical Council’s register. Continuing this success, her New York infirmary opened a medical college for women while under her sister’s charge in 1867. Dr.Blackwell continued to practice medicine, and in 1875, she became the professor of gynecology at the London School of Medicine for Women. Throughout her career, Dr. Blackwell campaigned for the opportunity for women to practice medicine and for their acceptance in the field. She founded the National Health Society in 1871. Accorting to The Independent, “Blackwell had set up a private practice in London in 1870, established the London School of Medicine for Women in 1874 and finally won the right for women to undertake medical degrees in Britain during 1876 following years of campaigning.” She also released numerous pamphlets, brochures and books campaigning for women in medicine and documenting her experience. He publications include Medicine as a Profession For Women in 1860, Address on the Medical Education of Women in 1864, and Pioneer Work in Opening the Medical Profession to Women, published in 1895.